I published this 2 years ago but I think it still is true again this year on Flag Day. I remember flag day when I was younger as a an early start to the 4th of July. In the 1960’s many homes displayed the American flag year round and some just on certain days. I understood Memorial Day very well, the visits to the cemeteries, the family, the picnics, barbecue, and of course the end of school!! I remember that flags would be displayed, removed , and then displayed again throughout the summer. I realize now that was due to Memorial Day, Flag Day, and then the 4th of July. I don’t remember asking an adult about the flags displayed on and off ,but then flags were a common element of every neighborhood. 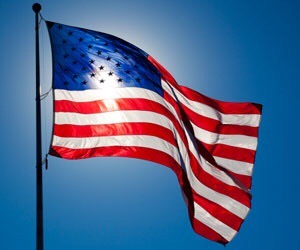 The American flag holds much more meaning to me today than those of my childhood summers. When I see the American flag today I see my youngest brother who served his country in the Navy when he was just 17, I see his coffin draped with a flag when he died at 37, I see the people who have taken to the streets carrying the flag asking for equality, I see astronauts landing on the moon and placing a flag into its ground, I see the ashes of the twin towers and the Murray federal building with a flag firmly placed in the ruble. What I don’t see is as many American flags displayed as I did as a child. Is Flag Day lost or just our pride for the flag itself?